Although I wrote everything I know about squirrel issues for this website, oftentimes a problem with squirrels in the attic is beyond the scope of the do-it-yourself homeowner to solve. I have found a professional company in Suffolk County, New York that handles problems with wildlife. 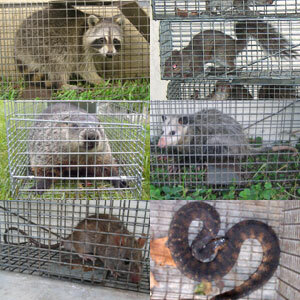 Yager Nuisance Animal Removal has access to tools, techniques, and experience that help them do a far better job at wildlife removal than a non-experienced homeowner could. They possess licensing that allows them to do certain types of work legally, that non-licensed homeowners in the state of New York are not allowed to do. For the welfare of your situation, and the squirrels, in some cases it's best to hire a pro. There are good companies and bad companies out there. I've done research on such companies, to get to know them, and feel confident recommending their services. I therefore recommend a company called Yager Nuisance Animal Removal which services Suffolk County, New York. If you have a squirrel problem, or any other conflict with a wild animal, and live in Suffolk County, I am confident that this company, Yager Nuisance Animal Removal, is the one to call. I asked the company to describe their service range, and they said this - We service all of Suffolk County, including Lindenhurst, Babylon, Bay Shore, Islip, Oakdale, Bayport, Patchogue, Brentwood, Ronkonkoma, Medford, Hauppage, Smithtown, Coram, Stony Brook, Yaphank, Shirley Mastic, and more. Yager Nuisance Animal Removal operates 24/7, so don't hesitate to call at any time to discuss your wildlife problem, and schedule an appointment for same-day or next-day service. Hello. I have recently been hearing strange noises coming from my attic. I have lived in this property for 18 months and have never had a problem but I have recently found out that neighbours and previous owners have had problems with squirrels. The first time I noticed noise was 3 days ago when I heard a scratching noise coming from above my bedroom window since then I have heard rolling noises in the attic. Also thumping noises and dragging in the evening and this morning at half 5 I heard a very high pitched noises similar to a bird which lasted for an hour. I have also discovered two holes in my daughters room on the ceiling one the size of a 50p and one the size of a 5p (english money) I am getting really scared about what is up there. I do live near lots of trees so squirrels would be likely. I am just looking for some advice really regarsing this thanks in advance. If you have a squirrel problem in Suffolk County New York, or any other conflict with a wild animal, I am confident that we can solve it. We use humane methods when dealing with Suffolk County wildlife removal situations. Squirrel Control Suffolk County. Our company is fully licensed and insured in New York. Call us any time at 631-479-3914 for a price quote and to schedule a same-day or next-day appointment to solve your squirrel problem in Suffolk County.